Jai Lao understands that one of the most basic fundamental human needs and rights is hygiene or the preservation of health; this is so essential to a healthier and happier way of life. For this reason, Jai Lao Foundation supplies personal hygiene/dental kits to villages and schools often in rural locations that don't have easy access to these fundamental necessities. In addition, Jai Lao helps village families have access to clean drinking water by providing them with water purification units in their homes and in the schools. 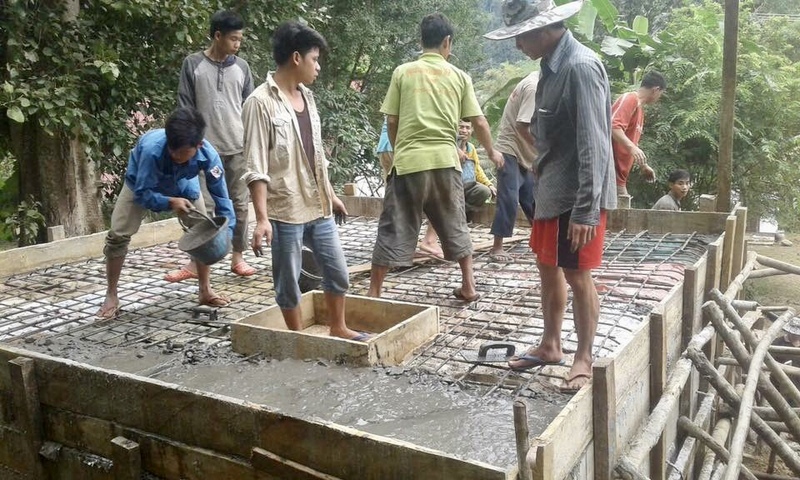 We've partnered up with several organizations to bring clean water to villages but the one we feel most comfortable with is VolunTour Laos the Founder's vision and mission for the people of Laos closely relates to Jai Lao's. We anticipate a lot of work ahead for both of us as we move forward in our partnership to alleviate hardship for villages throughout Laos.